Relax, sport, art, food. Discover the deep blue of the Ligurian Sea and the shades of green of the countryside hills. A unique location. 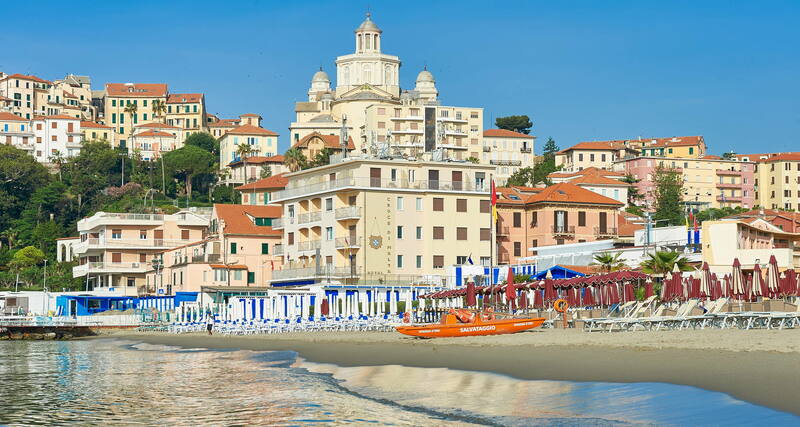 We are located on the sea, in the heart of the sparkling Borgo Marina, offering the sandy beach, the marina and the nightlife. A few steps from to the picturesque Borgo Parasio, an historic area overlooking the sea offering suggestive views and breathtaking sunsets. Panoramic rooms, with balconies and views of the sea or the village, adapted for the physically disabled and families. A cozy and friendly place to live a romantic weekend, a holiday with family or friends, a business trip or a gastronomic tour.